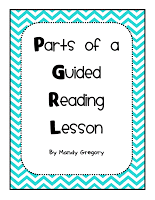 Since it is about midway through the year, how about we do a guided reading refresh? December was always so crazy, that my reading block was often affected. January was a nice, fresh, blank slate where I was ready to really dive back into guided reading. Now here is a little disclaimer: These Do's and Don'ts of guided reading ARE my opinion. Some of them ARE backed by research. Others are backed by experience. I DID complete my Master's Degree in Reading, so I have been "around the block." HOWEVER, as with anything on the internet, take these with a grain of salt when consider your students, your classroom, and your school. DO: BE PREPARED. READ THE BOOK IN ADVANCE. DON'T: PICK A BOOK AND JUST "WING IT" WITH KIDS. Without a doubt, the teacher should always be prepared before guided reading. This means reading the book BEFORE groups begin and creating a plan of instruction. Consider any vocabulary you want to highlight and any comprehension or decoding strategies you can teach and practice. If you need some guidance on what to include, check out these FREE guided reading lessons for transitional readers (Levels J to P) I adapted from Jan Richardson's book, The Next Steps in Guided Reading. DO: KEEP GUIDED READING GROUPS RELATIVELY SHORT AND STRUCTURED. DON'T: HAVE 35 MINUTE LONG GUIDED READING GROUPS WHERE YOUR INDEPENDENT KIDS ARE FALLING APART AND YOUR KIDS IN GROUP HAVE A HARD TIME STAYING FOCUSED AS WELL. Guided reading time should be relatively short and efficient. Each group should be about 25 minutes long at the most (this can be hard with the big kids- I struggled with this, too). If you are teaching kindergarten or first, they may be a bit shorter due to attention spans, text level, and just developmental appropriateness. If you are looking for WHAT to do during this time period, check out my blog post on the "anatomy" of a guided reading group. Lots of freebies are included! I once heard an awesome Lucy Calkins quote about routine in regards to Workshop. I am going to butcher it because my memory is terrible! I think she said, "Writing Workshop is deliberately predictable so the unpredictable can happen." She also compared the routine and structure of a laboratory to the classroom. This routine and expected structure allows for the unexpected to spark! This is just like guided reading. By having set routines (which in turn, can help keep the group time short), students can use their time to THINK and LEARN rather than wonder about what will happen next! DO: FIND APPROPRIATE LENGTH TEXTS THAT ARE ON THE STUDENT'S INSTRUCTIONAL READING LEVEL. DON'T: CHOOSE BOOKS THAT ARE TOO LONG OR TOO EASY/ HARD. Text selection is so important in guided reading. First, make sure the text is an instructional level text for students. There is no point in pulling students for groups to read a text that is too hard or too easy (UNLESS the focus is solely on fluency- then as independent text is appropriate). I prefer to use books in groups. I was very lucky to work in districts that valued guided reading and provided extensive leveled libraries for teachers. If your school does not have a leveled library for you, consider finding printable leveled book. 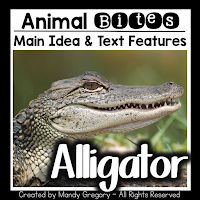 Reading A-Z is a paid membership site with printable leveled books. Our school actually paid for a membership, so you may want to approach your principal. 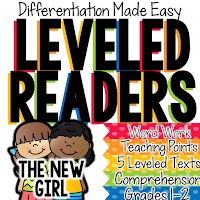 I have written several leveled texts that are available in my store. All of the ones pictured below are part of a series. You may also want to consider poems and passages. I have several in my store and Readworks.org is a fantastic site with leveled FREE passages. This is a series of texts with multiple levels of the same passage. I have tons of different topics available in my store. This is a personal opinion, although Jan Richardson's mentioned this in her book (Yay!). I don't believe that (larger) chapter books are the best use of guided reading time. DISCLAIMER: Easy/ early chapter books like Henry and Mudge, Frog and Toad, etc. are not included in this blanket statement because they can be read in 1-3 groups settings. I am talking about the longer books that will take WEEKS to complete. If guided reading groups are short, then you will only have about 20 minutes of reading time a day. It will take a million years to finish a chapter book. If you ask students to read outside of groups so you can "get through" the book faster, and discuss during guided reading groups, then kids are reading an independent level text...which is not guided reading. That is more like a literature circle. There are times when reading chapter books ARE appropriate such as an interactive read aloud, book clubs, reading conferences, reading partnerships, and literature circles. I just don't feel the guided reading setting is that time. And to be totally honest, not ALL students were in guided reading groups in my classroom. Some years I did guided reading groups with some kids and literature circles with others. Not everybody did the same thing some years! I did this (partnerships, literature circles, and guided reading) all during the Reading Workshop. The difference between literature circles and guided reading (in my opinion) boils down to the amount of support given to the reader. While the names may feel interchangeable, they really are not. This matters because it simply might matter to your district or admin! LOL! If you are struggling with guided reading, I did a Facebook Live several months ago with more DO's and Don'ts. You can catch the video here. If you feel you need more support when planning guided reading, check out my Guide to Guided Reading! If you would like more ideas from The Primary Peach, be sure to follow us on Pinterest, Instagram, and Facebook to catch all the freebies and ideas and more! A variety of casino games that are played. Integrate Content on Groundhog Day!